According to a new internal Virgin Mobile memo, Apple will be releasing an updated (PRODUCT)RED iPhone 8 and 8 Plus as early as Monday, with pre-orders starting imminently. The internal memo that was intended for employees and was provided to AppleInsider, says that Apple will be announcing the latest (PRODUCT)RED phones on Monday. Virgin Mobile also says they will be adding them to their inventory at the same time as the announcement and that there will be preorders, leading us to believe the phones will be quickly available to order, but it may not ship til later this month. When Apple launched the (PRODUCT)RED iPhone 7 and 7 Plus on a Tuesday, the phones were available online and at retail starting that Friday. Apple discontinued the red version of the iPhone 7 in September with the launch of the iPhone 8, 8 Plus, and X. 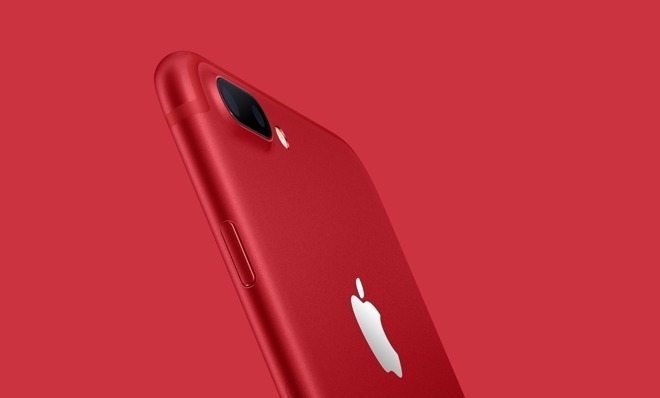 The memo only calls out (PRODUCT)RED versions of the iPhone 8 and iPhone 8 Plus, which may mean that the iPhone X will not be receiving the color treatment. The iPhone X would require a bit more effort on Apple's part to create a (PRODUCT)RED variation. Unlike the iPhone 8 and 8 Plus, the iPhone X has a stainless steel band around the edges instead of aluminum. It utilizes a different process to color the steel rather than the aluminum which is anodized. If Apple does update the store Monday with the new iPhone, there is a chance we could also see other changes as well. Most notably, the delayed AirPower charging mat and Qi charging case for AirPods.